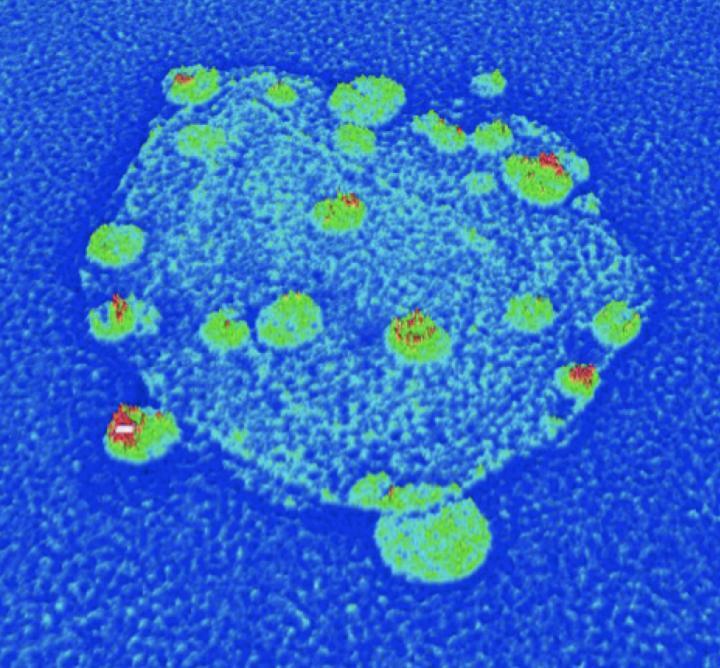 University of Maryland researchers have developed a method to quickly and inexpensively assemble diamond-based hybrid nanoparticles from the ground up in large quantities while avoiding many of the problems with current methods. These hybrid nanoparticles could speed the design of room-temperature qubits for quantum computers and create brighter dyes for biomedical imaging or highly sensitive magnetic and temperature sensors, for example. The basic trick in creating a interesting or useful diamond is, ironically: Add a defect in the diamond’s crystal lattice. It’s similar to doping silicon to give it special electronic properties (such as making it work as a transistor). Pure diamonds consist of an orderly lattice of carbon atoms and are completely transparent. However, pure diamonds are quite rare in natural diamond deposits; most have defects resulting from non-carbon impurities such as nitrogen, boron and phosphorus. Such defects create the subtle and desirable color variations seen in gemstone diamonds. This altered bond is also the source of the optical, electromagnetic, and quantum physical properties that will make a nanodiamond useful when paired with other nanomaterials. 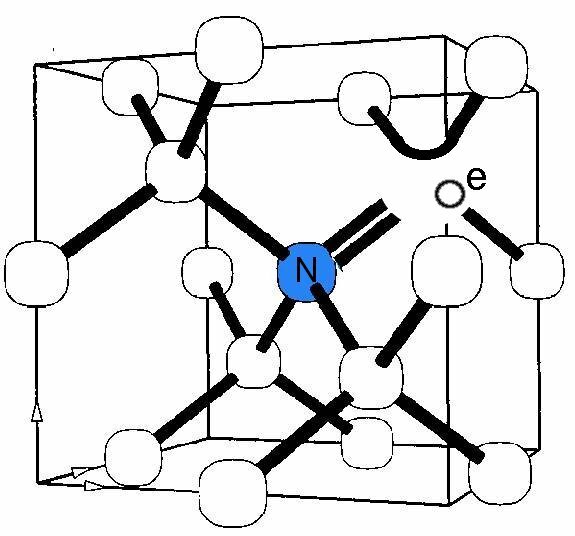 The most useful impurity — and used in the Maryland study — is the famous “nitrogen vacancy” defect: Sticking in a single nitrogen atom where a carbon atom should be, with an empty space right next to it. As KurzweilAI has shown in several articles, a nitrogen vacancy in a diamond (or other crystalline materials) can lead to a variety of interesting new properties, such as a highly sensitive way to detect neural signals, an ultrasensitive real-time magnetic field detector, and importantly, making a nanodiamond behave as a quantum bit (qubit) for use in quantum computing and other applications. Nearly all qubits studied to date require ultra-cold temperatures to function properly. A qubit that works at room temperature would represent a significant step forward, helping use quantum circuits in industrial, commercial and consumer-level electronics. That’s of special interest to Ougang’s team. Ougang’s and colleagues’ main breakthrough, though, is their method for constructing the hybrid nanoparticles. 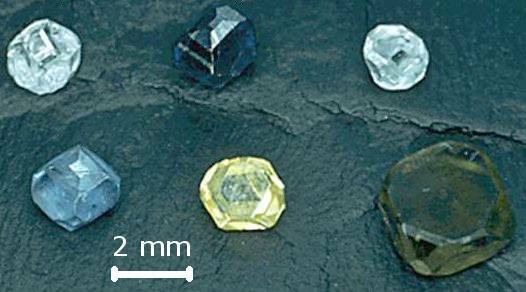 Other researchers have paired nanodiamonds with complementary nanoparticles using relatively imprecise methods, such as manually installing the diamonds and particles next to each other onto a larger surface one by one. These top-down methods are costly, time consuming, and introduce a host of complications. “Our key innovation is that we can now reliably and efficiently produce these freestanding hybrid particles in large numbers,” explained Ouyang, who also has appointments in the UMD Center for Nanophysics and Advanced Materials and the Maryland NanoCenter, with an affiliate professorship in the UMD Department of Materials Science and Engineering. His team’s method also enables precise control of the hybrid particles’ properties, such as the composition and total number of non-diamond particles. The ability to control the interaction between nitrogen-vacancy centres in diamond and photonic and/or broadband plasmonic nanostructures is crucial for the development of solid-state quantum devices with optimum performance. However, existing methods typically employ top-down fabrication, which restrict scalable and feasible manipulation of nitrogen-vacancy centres. Here, we develop a general bottom-up approach to fabricate an emerging class of freestanding nanodiamond-based hybrid nanostructures with external functional units of either plasmonic nanoparticles or excitonic quantum dots. Precise control of the structural parameters (including size, composition, coverage and spacing of the external functional units) is achieved, representing a pre-requisite for exploring the underlying physics. Fine tuning of the emission characteristics through structural regulation is demonstrated by performing single-particle optical studies. This study opens a rich toolbox to tailor properties of quantum emitters, which can facilitate design guidelines for devices based on nitrogen-vacancy centres that use these freestanding hybrid nanostructures as building blocks. A new material that can kill E. coli bacteria within 30 seconds has been developed by researchers at the Institute of Bioengineering and Nanotechnology (IBN) of A*STAR in Singapore. Triclosan, a common antibacterial ingredient found in many products such as toothpastes, soaps, and detergents to reduce or prevent bacterial infections, has been linked to making bacteria resistant to antibiotics, with adverse health effects. The European Union has restricted the use of triclosan in cosmetics, and the U.S. FDA is conducting an ongoing review of this ingredient. To find a more suitable alternative, IBN Group Leader Yugen Zhang, PhD, and his team synthesized a chemical compound made up of molecules linked together in a chain (“imidazolium oligomers”), which they found can kill 99.7% of the E. coli bacteria within 30 seconds. The chain-like structure helps to penetrate the cell membrane and destroy the bacteria. In contrast, current antibiotics only kill the bacteria but fail to destroy the cell membrane, allowing new antibiotic-resistant bacteria to grow. “Our unique material can kill bacteria rapidly and inhibit the development of antibiotic-resistant bacteria. Computational chemistry studies supported our experimental findings that the chain-like compound works by attacking the cell membrane. This material is also safe for use because it carries a positive charge that targets the more negatively charged bacteria, without destroying red blood cells,” said Zhang. The imidazolium oligomers come in the form of a white powder that is soluble in water. The researchers also found that once this was dissolved in alcohol, it formed gels spontaneously. So this material could be incorporated in alcohol-based sprays used for sterilization in hospitals or homes. E. coli is a type of bacteria found in the intestines of humans and animals, and some strains can cause severe diarrhea, abdominal pain, and fever. Such infection is contagious and can spread through contaminated food or water, or from contact with people or animals. 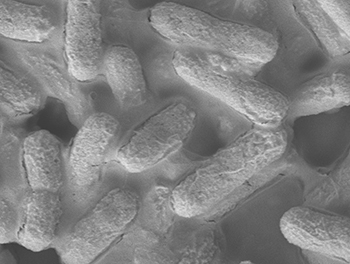 Besides E. coli, IBN’s material was tested against other common strains of antibiotic-resistant bacteria and fungi such as Staphylococcus aureus, Pseudomonas aeruginosa, and Candida albicans (which can cause conditions ranging from skin infections to pneumonia and toxic shock syndrome) and was able to kill 99.9% of these microbes within two minutes. The finding was published in the peer-reviewed journal Small. Infectious diseases and the increasing threat of worldwide pandemics have underscored the importance of antibiotics and hygiene. Intensive efforts have been devoted to developing new antibiotics to meet the rapidly growing demand. In particular, advancing the knowledge of the structure–property–activity relationship is critical to expedite the design and development of novel antimicrobial with the needed potential and efficacy. 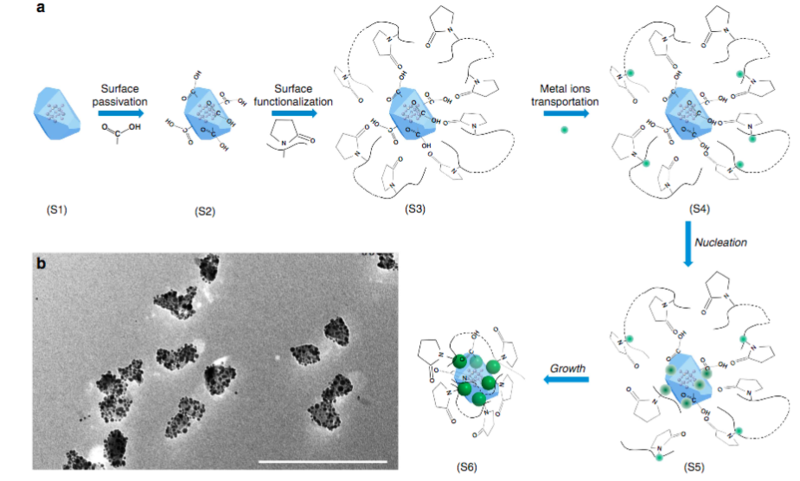 Herein, a series of new antimicrobial imidazolium oligomers are developed with the rational manipulation of terminal group’s hydrophobicity. 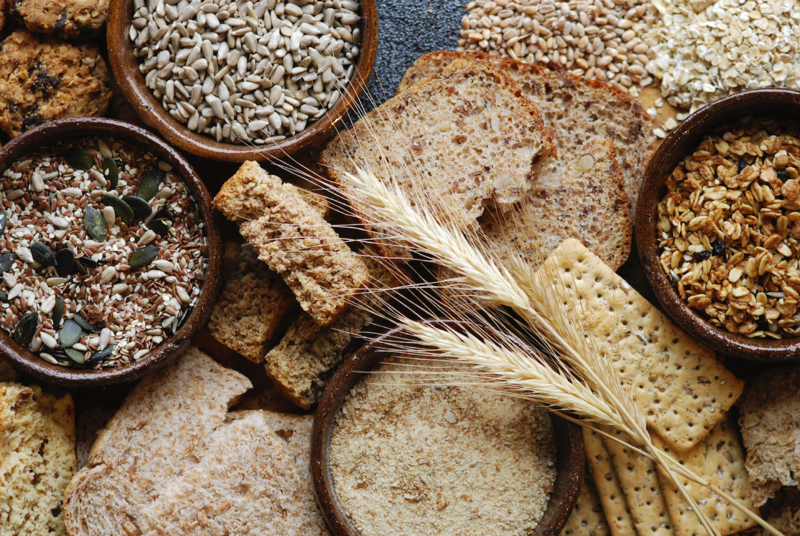 These materials exhibit superior activity, excellent selectivity, ultrafast killing (>99.7% killing within 30 s), and desirable self-gelling properties. Molecular dynamic simulations reveal the delicate effect of structural changes on the translocation motion across the microbial cell membrane. The energy barrier of the translocation process analyzed by free energy calculations provides clear kinetic information to suggest that the spontaneous penetration requires a very short timescale of seconds to minutes for the new imidazolium oligomers. Potential establishment of a state program in Kazakhstan to improve the healthspan of the population. The post Prospective Longevity R&D Program in Kazakhstan appeared first on h+ Media. Leading genomics experts have announced Genome Project-write (HGP-write), which aims to synthesize entire genomes of humans and other species from chemical components and get them to function in living cells. As explained in Science, the goal of HGP-write is to reduce the costs of engineering large genomes, including a human genome, and to develop an ethical framework for genome-scale engineering and transformative medical applications. HGP-write will build on the knowledge gained by The Human Genome Project (HGP-read), especially in genomic-based discovery, diagnostics, and therapeutics. But while the Human Genome Project “read” DNA to understand its code, HGP-write will use the cellular machinery provided by nature to “write” code, constructing vast DNA chains. The new effort is expected to lead to a massive amount of information connecting the sequence of nucleotide bases in DNA with their physiological properties and functions, and it promises to have a significant impact on human health and other critical areas such as energy, agriculture, chemicals, and bioremediation, according to the organizers. Another goal is development of new genomics analysis, design, synthesis, assembly and testing technologies, with the goal of making them more affordable and widely available. “Writing DNA code is the future of science and medicine, but our technical capabilities remain limited,” said Andrew Hessel, Distinguished Researcher, Bio/Nano Research Group, Autodesk, who will head a multidisciplinary team exploring computer-aided design and manufacturing for biotechnology and nanotechnology R&D. “HGP-write will require research and development on a grand scale, and this effort will help to push our current technical limits by several orders of magnitude,” he said. The HGP-write project developed from a series of meetings held over the last several years, including a closed-door meeting held May 10 in Boston, which brought together a diverse group of 130 participants from many different countries, including biologists, ethicists, engineers, plus representatives from industry, law and government. * The Genome Project-write (HGP-write) will be an open, international research project led by a multi-disciplinary group of scientific leaders who plan to oversee a reduction in the costs of engineering and testing large genomes, including a human genome, in cell lines more than 1,000-fold within ten years. To ensure public engagement and transparency, HGP-write will include mechanisms to encourage public discourse around the emerging HGP-write capabilities. The Woodrow Wilson Center for International Scholars will help to lead such efforts for HGP-write. Jef Boeke, Ph.D., Director, Institute for Systems Genetics, Professor, Department of Biochemistry and Molecular Pharmacology, NYU Langone Medical Center. Dr. Boeke is a leader of the Synthetic Yeast Project (Sc2.0), which seeks to create living yeast cells with entirely redesigned chromosomes by 2017. George Church, Ph.D., Robert Winthrop Professor of Genetics at Harvard Medical School, Core Faculty Member at the Wyss Institute for Biologically Inspired Engineering at Harvard University, Professor of Health Sciences and Technology at Harvard and the Massachusetts Institute of Technology (MIT), and Senior Associate Faculty member at the Broad Institute. Among the leaders of the original HGP-read, Dr. Church currently heads an effort to create a version of the bacteria E.coli with a redesigned genome. Andrew Hessel, Distinguished Researcher, Bio/Nano Research Group, Autodesk. He spearheads a multidisciplinary team exploring computer-aided design and manufacturing for biotechnology and nanotechnology R&D. Nancy J Kelley, J.D., M.P.P., President & CEO, Nancy J Kelley & Associates, formerly Founding Executive Director, New York Genome Center. She is lead executive of HGP-write and the related Center of Excellence for Engineering Biology. 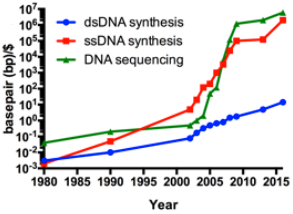 The Human Genome Project (“HGP-read”) nominally completed in 2004 aimed to sequence the human genome and improve technology, cost, and quality of DNA sequencing (1, 2). It was biology’s first genome-scale project, and at the time was considered controversial by some. 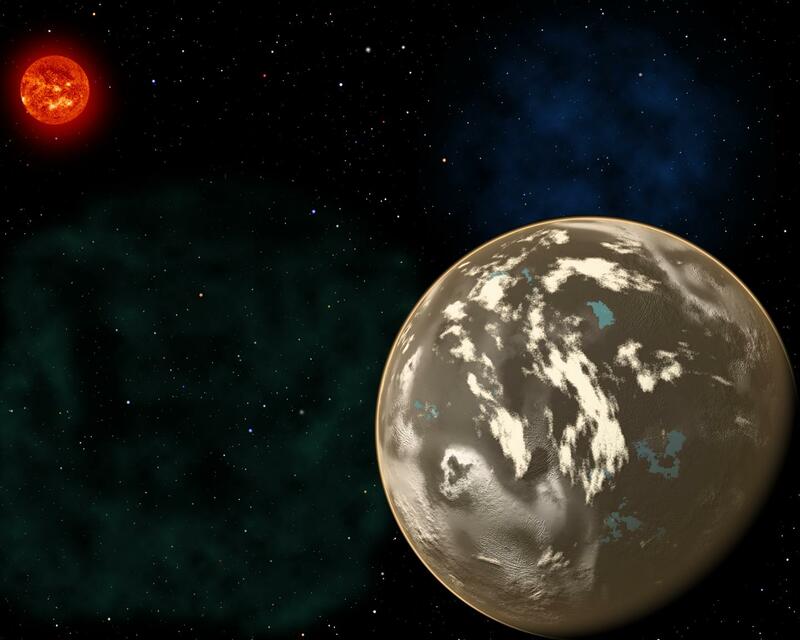 Now it is recognized as one of the great feats of exploration, one that has revolutionized science and medicine. Although sequencing, analyzing, and editing DNA continue to advance at breakneck pace, the capability to construct DNA sequences in cells is mostly limited to a small number of short segments, restricting the ability to manipulate and understand biological systems. Further understanding of genetic blueprints could come from construction of large, gigabase (Gb)–sized animal and plant genomes, including the human genome, which would in turn drive development of tools and methods to facilitate large-scale synthesis and editing of genomes. To this end, we propose the Human Genome Project–Write (HGP-write). If robots are going work around humans, they will have to be softer and safer. 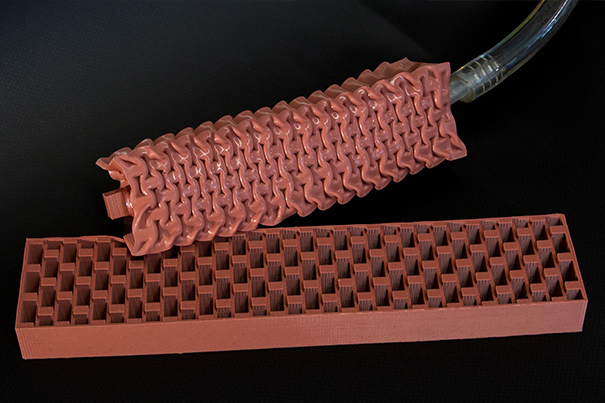 A Harvard team has designed a new actuator with that in mind. Its movements are similar to those of a human bicep muscle, using vacuum power to automate soft rubber beams. Like real muscles, the actuators are soft, shock-absorbing, and pose no danger, according to the researchers. The work is led by George Whitesides, Ph.D., a Core Faculty member at Harvard’s Wyss Institute for Biologically Inspired Engineering, the Woodford L. and Ann A. Flowers University Professor of Chemistry and Chemical Biology in Harvard University’s Faculty of Arts and Sciences (FAS), and a Director of the Kavli Institute for Bionano Science and Technology at Harvard University. Whitesides’ team took an unconventional approach to its design, relying on vacuum to decrease the actuator’s volume and cause it to buckle. While conventional engineering would consider bucking to be a mechanical instability and a point of failure, in this case the team leveraged this instability to develop VAMPs (vacuum-actuated muscle-inspired pneumatic structures). Previous soft actuators rely on pressurized systems that expand in volume, but VAMPs mimic true muscle because they contract, which makes them useful in confined spaces and for a variety of purposes. The actuator has soft elastomeric rubber beams filled with small, hollow chambers of air like a honeycomb. By applying vacuum, the chambers collapse and the entire actuator contracts, generating movement. The internal honeycomb structure can be custom tailored to enable linear, twisting, bending, or combinatorial motions. The team envisions that robots built with VAMPs could be used to assist the disabled or elderly, to serve food, deliver goods, and perform other tasks related to the service industry. Soft robots could also make industrial production lines safer and faster, and quality control easier to manage by enabling human operators to work in the same space. VAMPs are designed to prevent failure — even when damaged with a 2mm hole, the team showed that VAMPs will still function. In the event that major damage is caused to the system, it fails safely. 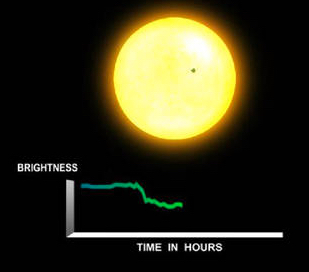 “It can’t explode, so it’s intrinsically safe,” said Whitesides. Whereas other actuators powered by electricity or combustion could cause damage to humans or their surroundings, loss of vacuum pressure in VAMPs would simply render the actuator motionless. The work was reported June 1 in the journal Advanced Materials Technologies. The mechanical features of biological muscles are difficult to reproduce completely in synthetic systems. A new class of soft pneumatic structures (vacuum-actuated muscle-inspired pneumatic structures) is described that combines actuation by negative pressure (vacuum), with cooperative buckling of beams fabricated in a slab of elastomer, to achieve motion and demonstrate many features that are similar to that of mammalian muscle. A surgically implanted neuroprosthesis has led to substantial improvement in walking speed and distance in a patient with limited mobility after a stroke, according to a single-patient study in the American Journal of Physical Medicine & Rehabilitation. The system, programmed to stimulate coordinated activity of hip, knee, and ankle muscles, “is a promising intervention to provide assistance to stroke survivors during daily walking,” write Nathaniel S. Makowski, PhD, and colleagues of the Louis Stokes Cleveland Veterans Affairs Medical Center. With technical refinements and further research, such implanted neuroprosthesis systems might help to promote walking ability for at least some patients with post-stroke disability. 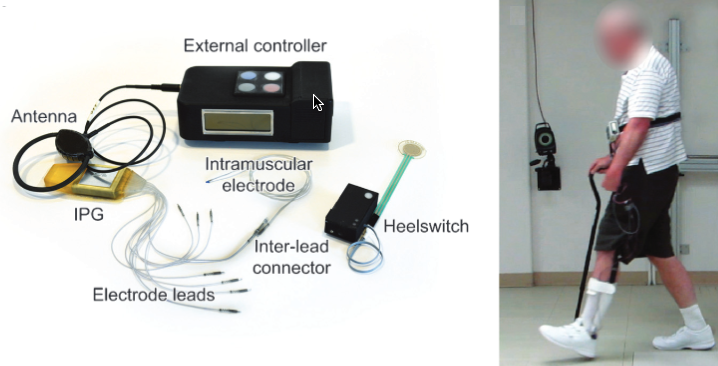 Makowski and colleagues then created a customized electrical stimulation program to activate the muscles, with the goal of restoring a more natural gait pattern. The patient went through extensive training in the researchers’ laboratory for several months after neuroprosthesis placement. In addition, the patient was able to walk much farther. When first evaluated, he could walk only 76 meters before becoming fatigued. After training but without stimulation, he could walk about 300 meters (in 16 minutes). With stimulation, the patient’s maximum walking distance increased to more than 1,400 meters (in 41 minutes) with stimulation. Even though the patient wasn’t walking with stimulation outside the laboratory, his walking ability in daily life improved significantly. He went from “household-only” ambulation to increased walking outside in the neighborhood. * Tensor fasciae latae (hip flexor), sartorius (hip and knee flexor), gluteus maximus (hip extensor), short head of biceps femoris (knee flexor), quadriceps (knee extensor), tibialis anterior/peroneus longus (ankle dorsiflexors), and gastrocnemius. Abstract of Improving Walking with an Implanted Neuroprosthesis for Hip, Knee, and Ankle Control After Stroke. Objective: The objective of this work was to quantify the effects of a fully implanted pulse generator to activate or augment actions of hip, knee, and ankle muscles after stroke. Design: The subject was a 64-year-old man with left hemiparesis resulting from hemorrhagic stroke 21 months before participation. He received an 8-channel implanted pulse generator and intramuscular stimulating electrodes targeting unilateral hip, knee, and ankle muscles on the paretic side. After implantation, a stimulation pattern was customized to assist with hip, knee, and ankle movement during gait. The subject served as his own concurrent and longitudinal control with and without stimulation. Outcome measures included 10-m walk and 6-minute timed walk to assess gait speed, maximum walk time, and distance to measure endurance, and quantitative motion analysis to evaluate spatial-temporal characteristics. Assessments were repeated under 3 conditions: (1) volitional walking at baseline, (2) volitional walking after training, and (3) walking with stimulation after training. Results: Volitional gait speed improved with training from 0.29 m/s to 0.35 m/s and further increased to 0.72 m/s with stimulation. Most spatial-temporal characteristics improved and represented more symmetrical and dynamic gait. Conclusions: These data suggest that a multijoint approach to implanted neuroprostheses can provide clinically relevant improvements in gait after stroke. 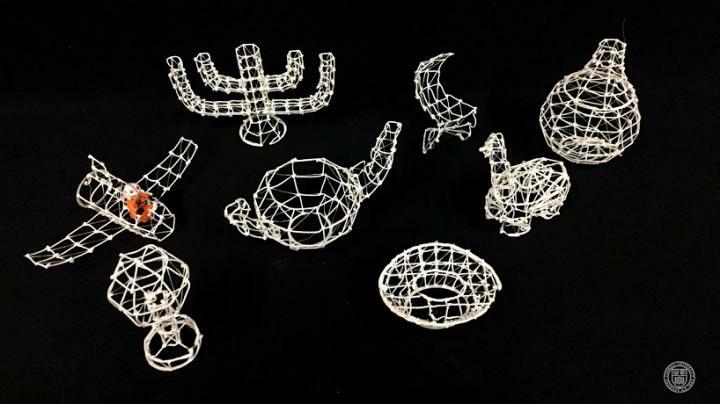 Cornell researchers have developed an interactive prototyping system that prints a wire frame of your design as you design it. You can pause anywhere in the process to test or measure and make needed changes, which will be added to the physical model still in the printer. In conventional 3-D printing, a nozzle scans across a stage depositing drops of plastic, rising slightly after each pass to build an object in a series of layers. 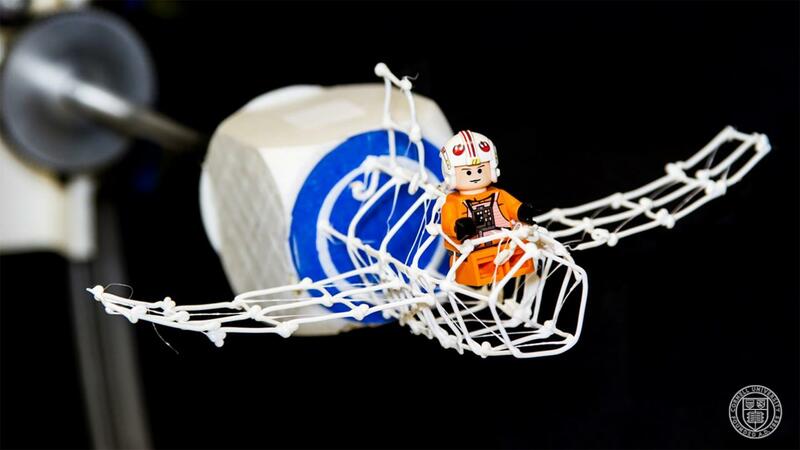 With the On-the-Fly-Print system, the nozzle instead extrudes a rope of quick-hardening plastic to create a wire frame that represents the surface of the solid object described in a computer-aided design (CAD) file and allows the designer to make refinements while printing is in progress. The printer’s stage can be rotated to present any face of the model facing up; so an airplane fuselage, for example, can be turned on its side to add a wing. There is also a cutter to remove parts of the model, say, to give the airplane a cockpit, and the nozzle can reach through the wire mesh to make changes inside. The system also adds yaw and pitch for five degrees of freedom. The researchers described the On-the-Fly-Print system in a paper presented at the 2016 ACM Conference for Human Computer Interaction. The work was supported in part by the National Science Foundation and by Autodesk Corp.
Machine-learning algorithms are increasingly used in making important decisions about our lives — such as credit approval, medical diagnoses, and in job applications — but exactly how they work usually remains a mystery. Now Carnegie Mellon University researchers may devised an effective way to improve transparency and head off confusion or possibly legal issues. CMU’s new Quantitative Input Influence (QII) testing tools can generate “transparency reports” that provide the relative weight of each factor in the final decision, claims Anupam Datta, associate professor of computer science and electrical and computer engineering. These reports could also be used proactively by an organization to see if an artificial intelligence system is working as desired, or by a regulatory agency to determine whether a decision-making system inappropriately discriminated, based on factors like race and gender. To achieve that, the QII measures considers correlated inputs while measuring influence. For example, consider a system that assists in hiring decisions for a moving company, in which two inputs, gender and the ability to lift heavy weights, are positively correlated with each other and with hiring decisions. 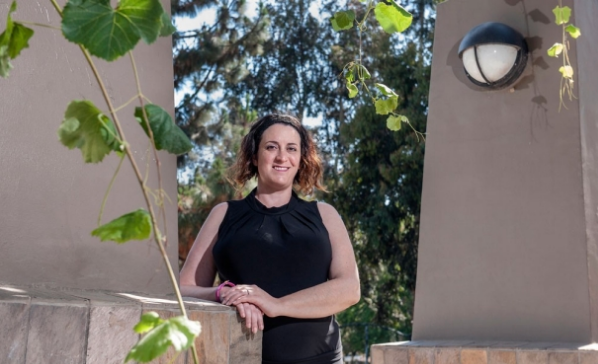 Yet transparency into whether the system actually uses weightlifting ability or gender in making its decisions has substantive implications for determining if it is engaging in discrimination. In this example, the company could keep the weightlifting ability fixed, vary gender, and check whether there is a difference in the decision. The Ford Foundation published a controversial blog post last November stating that “while we’re lead to believe that data doesn’t lie — and therefore, that algorithms that analyze the data can’t be prejudiced — that isn’t always true. The origin of the prejudice is not necessarily embedded in the algorithm itself. Rather, it is in the models used to process massive amounts of available data and the adaptive nature of the algorithm. As an adaptive algorithm is used, it can learn societal biases it observes. The QII measures also quantify the joint influence of a set of inputs (such as age and income) on outcomes, and the marginal influence of each input within the set. Since a single input may be part of multiple influential sets, the average marginal influence of the input is computed using “principled game-theoretic aggregation” measures that were previously applied to measure influence in revenue division and voting. But transparency reports could also potentially compromise privacy, so in the paper, the researchers also explore the transparency-privacy tradeoff and prove that a number of useful transparency reports can be made differentially private with very little addition of noise. QII is not yet available, but the CMU researchers are seeking collaboration with industrial partners so that they can employ QII at scale on operational machine-learning systems. Algorithmic systems that employ machine learning play an increasing role in making substantive decisions in modern society, ranging from online personalization to insurance and credit decisions to predictive policing. But their decision-making processes are often opaque—it is difficult to explain why a certain decision was made. We develop a formal foundation to improve the transparency of such decision-making systems. Specifically, we introduce a family of Quantitative Input Influence (QII) measures that capture the degree of influence of inputs on outputs of systems. These measures provide a foundation for the design of transparency reports that accompany system decisions (e.g., explaining a specific credit decision) and for testing tools useful for internal and external oversight (e.g., to detect algorithmic discrimination). Distinctively, our causal QII measures carefully account for correlated inputs while measuring influence. They support a general class of transparency queries and can, in particular, explain decisions about individuals (e.g., a loan decision) and groups (e.g., disparate impact based on gender). Finally, since single inputs may not always have high influence, the QII measures also quantify the joint influence of a set of inputs (e.g., age and income) on outcomes (e.g. loan decisions) and the marginal influence of individual inputs within such a set (e.g., income). Since a single input may be part of multiple influential sets, the average marginal influence of the input is computed using principled aggregation measures, such as the Shapley value, previously applied to measure influence in voting. Further, since transparency reports could compromise privacy, we explore the transparency-privacy tradeoff and prove that a number of useful transparency reports can be made differentially private with very little addition of noise. Our empirical validation with standard machine learning algorithms demonstrates that QII measures are a useful transparency mechanism when black box access to the learning system is available. In particular, they provide better explanations than standard associative measures for a host of scenarios that we consider. Further, we show that in the situations we consider, QII is efficiently approximable and can be made differentially private while preserving accuracy.